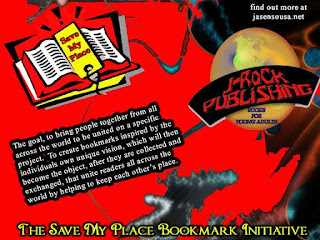 J-Rock Publishing is proud to announce the “Save My Place” Bookmark Initiative. Effective immediately, people from all around the world are invited to embark on a historic creative journey. During these grim times it seems as though we have a difficult time trying to find our place in life. Our plan is to create a simple, but effective tool to keep you from losing your way. The goal is to bring people together from all across the world to be united on a specific project. To create bookmarks inspired by the individuals own unique vision, which will then become the object, after they are collected and exchanged, that unite readers all across the world by helping to keep each other’s place. The challenge, to get people thinking about where that vision comes from, where that person comes from and to promote reading, writing, literacy and create a coolness around books that has never existed among young readers, especially young readers in urban environments. All we ask of you is to create an artistic design or message on a homemade bookmark, around the size of 2 inches wide by 7 inches long. Include your name and the place where you come from, or the place where you now reside, city, state, village, country or continent, whatever you want to be represented on the bookmark for others to see. J-Rock Publishing will manufacture these bookmarks, giving full credit and exposure to the artist and their creative work. We will both donate and sell these bookmarks for one dollar each. 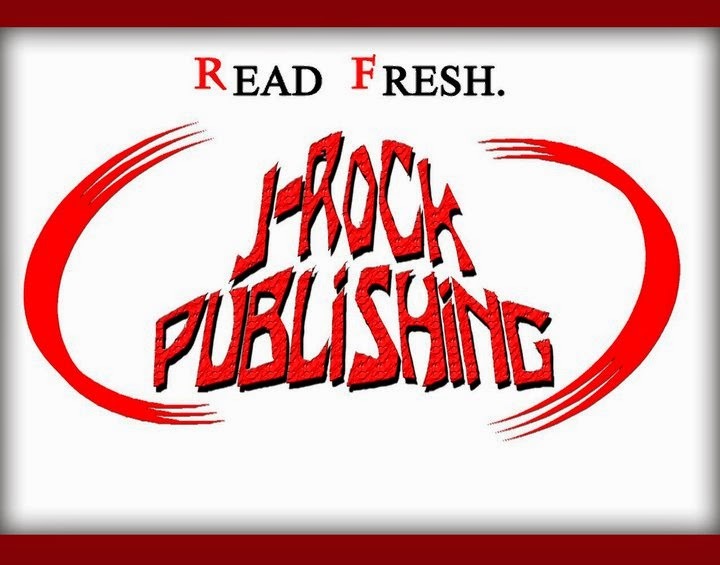 All of the proceeds will go towards creating new and exciting books, which will lead to the creation of jobs inside of J-Rock Publishing for young employees such as new writers, editors, designers, photographers, marketers and distributors. I will be posting the bookmarks on this site as they come in. I will feature the person who made them, where they are from and what hopes they have for the world. This is a small part of J-Rock Publishing’s stimulus plan!!!! February Brings a New Release From Jasen Sousa!! !